We arrived home on Friday 28th February. We had a great time and I wish to thank all of the amateurs with whom I had contacts. 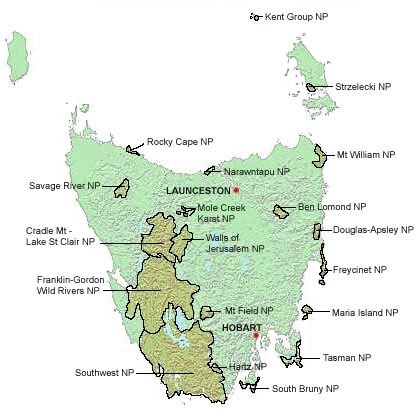 Working with five watts is always a challenge and it was magnified, particularly from the southern end of the state and when conditions were poor on the bands. Nevertheless I was able to tally 134 contacts. I activated 11 parks, two of them twice, from different locations, and visited a number of places I had not been before and enjoyed some tourist experiences. 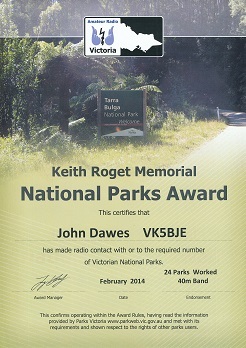 I received a pleasant surprise when I arrived home: I now have the Keith Roget Memorial National Park Award from Amateur Radio Victoria. Eighteen parks activated and 24 parks worked: I still have a long way to go!